This paper will focus on one simple question every one asked that is, why has international trade grown? and what are the consequences of that growth. When we talk about international trade we mean the exchange of goods and services. This exchange usually takes place between two parties from different countries or between two countries located anywhere on the globe. It means trade between two or more than two countries by exchange of different currencies and regulated by laws, rules and regulations of the concerned countries. It was the time when world market progressed and come up with an impressive degree of integration during the second half of the nineteenth century. The importance of trade and technological development in the advance countries’ is the noticeable factor of growing at that time. Maximum number of the innovation and advancement in each and every sector achieved its respective goal on the eve of First World War. These are global transportation system (rail road’s& steamship), information technology, and electronic technology etc. 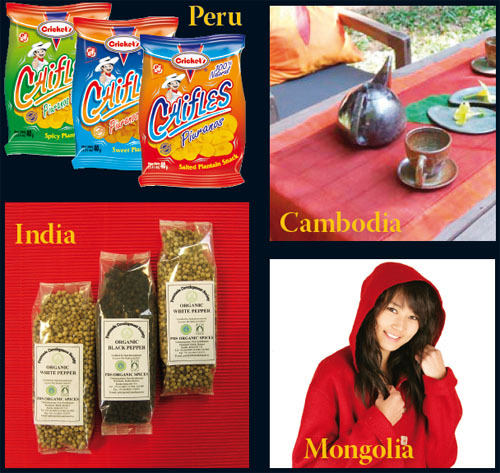 It was provided with global reach of the products like wheat and wool etc. But unfortunately after the post period of World War 2 the international trade was substantially decreased. As economists view concerned the globalization changed everything. But still it is a major discussion because can we explain the effect of technology on income distribution of a person .The issues discussed here are subject to world trade, It must be regarded as the outcome of a process in which trade flows, world prices, wages, and employment are all simultaneously determined. In my point of view international trade or globalization is a term like financial system, where there is two parties one has surplus and the other party is a needy or deficit .Here also exactly same thing happens as sharing of output between countries. in terms of export and import. Being this reason concern’s, it provides variety good and services, which are not produced in the home country can also be used due to international trade. At the same time the term “intra trade” also occurred, where most of the country's trade was with other European nations that is, with countries with similar resources. It is also true that a high proportion of the trade among industrial countries appears to consist of intra-industry trade (liberalization period). While the cotton& textile industry were enjoyed the product differentiation, automobile industry was able to assemble production system. That’s why nothing surprising, when Germans driving Honda's while Japanese drive BMW's. In the absence of international trade each country will try to produce all goods and services by itself. But while trading with other countries each country will produce only those goods in which it has comparative advantage. In this way each country can specialize in production of few goods.Every country imports huge stocks of raw material from outside not to let its industry suffer on account of lack of it. It is possible because of international trade only. International trade followed by international specialization raises the production levels in each country .This in turn raises the level of national income in each country. It will increase the country’s GDP rate and make both the country richer .it also facilitates the rapid growth of manufactured exports from low-wage, newly industrializing economies .it also facilitates a better standard of living to the countries, the consumers begin to use goods and services at cheaper rates which are not produced in their country and thus their standard of living increases. One of the major aspect of growth, it helps in increasing the pace of economic development of the country. Under develop countries can import modern machines and techniques from developed countries that can also help in economic development. Free trade also occurred under the terms of international trade, here a country able to sell its products in those markets where it gets the best price for it s products and purchases goods from cheapest source. Thus a country gets the maximum advantage both as a producer as well as a consumer. While globalization lessens the monopolistic competition in the market. International trade is the major reason for labor division, specialization, and international co-operation also. On the other hand it increases the dependency on the other party or third world, At the war time or calamities, a country depending upon import of essential commodities does not get the supply of them .Which causes lot of social and economic problems in the country. It may be a reason for economic instability, an Economic instability of one country spreads to other countries through international trade. E.g. recession started in USA spreads all over the world.It reduces the import prices and lessens the barriers to entry of MNC’s in the domestic market. This can create unemployment, inequality and poverty. Finally it may endorse on sided developments and political conflicts, as well as dumping, here the advanced countries export their goods at a rate even below the cost of production .Japan followed this policy during the pre second world war and put our Indian textile industry under great loss .so it is clear from the above explanations that globalization has its own consequences.Don't you think ,we are living in such a world, where the CEO's competing for the top position and the international trade is just lined up with their brand play.